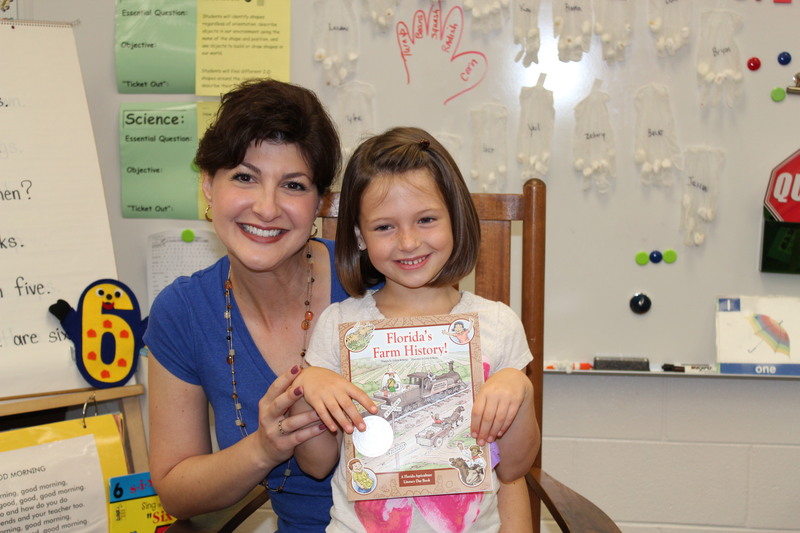 Tuesday, April 30 was the 10th Annual Ag Literacy Day in Florida. We are proud to be a part of this program in many ways. Most importantly we are readers and secondly we are proud to host the Florida Ag in the Classroom (FAITC) website. Recently we coordinated a Facebook campaign for FAITC that turned out to be highly successful. Over an eight-week period we increased “likes” from 196 to over 850. After that campaign we monitored a targeted campaign just for Ag Literacy Day, encouraging readers from all over the state to post photos reading in the classroom. Ag Literacy Day was a huge success, as were the two social media campaigns. Here are 4 social media reminders as you promote your business. 1) Prioritize and then delegate. As the person in charge of marketing for your business (or perhaps the person voluntold to do it), you may or may not have the skill set and/or time. Figure out what you can do and delegate the rest. This was a priority for Florida Ag in the Classroom, knowing how important social media could be for this one-day annual event, but it wasn’t something a small staff was able to take on at the time. 2) Build an audience. We are seeing more an more ag businesses with Facebook pages. We think that’s fantastic! However, remember the size of your audience. Are you posting everyday but only have 15 likes. Is it worth all that time delivering content for that small of an audience? Work to build your audience up to a reputable number. Send an invite to your friend list. Share from your personal page. 3) Keep it classy! Remember what your momma told you – it’s better to be overdressed than underdressed. Make sure your clothes fit properly, meaning get those logos sized properly. The timeline photo is 851 X 315 pixels and the profile picture is 180 X 180. There is no reason your logo should not fit absolutely perfectly into that box. We recommend putting your logo in the profile picture. Why? Because when you post, that’s what people see in their feed. It’s all about branding and recognition. 4) Check your messages. How do I communicate with clients? Answer: Whatever way they communicate with me. I have clients that text me, Facebook message me, call and email. You name a form of communication and they’ve done it. More and more I’m receiving questions about marketing (which means a business lead) via Facebook messaging. If you set up a page to promote your business, be ready to work it. Remember to have fun. This isn’t rocket science. It’s social. I was reminded of that when dozens of photos were posted to the Florida Ag In the Classroom on Ag Literacy Day. Share the good news. Share the good news of agriculture.